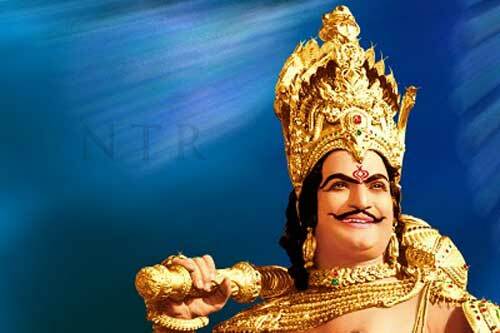 The name Nandamuri Taraka Rama Rao needs no introduction in not only Telugu Cinema but also for the Indian Cinema. Today is the 93rd Jayanthi (May 28th) of Sr NTR. The name itself strikes a visual in a person’s mind which comprises of amazing personality, great facial expressions, a world of affection and perfect Telugu Diction. He was a person who redefined the word ‘Dialogue Delivery’ in Telugu Cinema inspiring many young actors who came later. Coming to which acting school he would belong, the analysts say with a thump that it is the first school- the school of aggression! In fact, there were situations when he involved in a role so much that his real life started having the influences of the character he adorned! He made an unforgettable mark in every field he kept his foot in- with a mesmerizing impact. That is why on the account of his birthday today, any Telugu person would remember his aggressive song “Nene Number One!” with a smile on the face! “Inthavadni Inthavadini Ayyanu” was the first ever dialogue Sr.NTR delivered on the silver screen for ‘Manadesam’ which was released on 24th November 1949. This dialogue written by Senior Samudrala not only symbolizes him from his personal life but designed his acting career in years to come etching with aggression. The scene featured a police officer who does a lathi charge on a group of freedom agitators. The moment director L.V.Prasad said “Action!” and Sr.NTR, who was acting in the role of Inspector, got totally involved in his character. He started hitting the agitators in reality with such anger and aggression that L.V.Prasad had to shout “Cut! Cut!” and eventually “Stop!”. After settled down, he called Sr.NTR aside and said “I asked you just to act, but not to create a violent scene! See my dear young man, and this is Cinema! Not a stage drama. There is no need. Not only in the history of Indian Cinema, but Sr NTR also carved a niche for himself in politics. He won many accolades for his excellent social service as Andhra Pradesh Chief Minister. He still lives in the heart of Telugu audience and made an impeccable mark with his excellent acting skills and social services.